Trance with a distinct undertone of house is the medicine that Italian talent Emanuele Braveri’s made his name supplying. 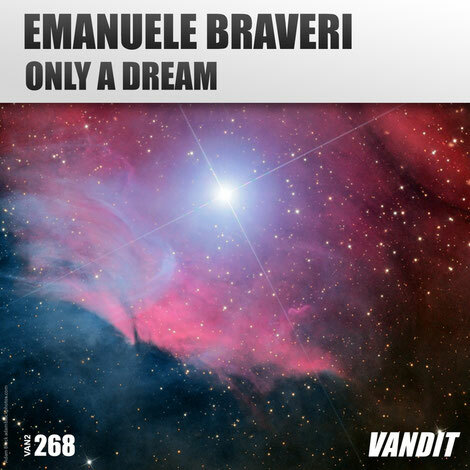 The Veneto-based producer has now been plying his brand of electronic music over the last five years and in that vein, ‘Only A Dream’ - his latest studio creation - is what’s brought him to Paul van Dyk’s Vandit label’s door for the first time. As May gives way to June, inevitably we’re all letting some tunes of a more ‘reclined’ nature filter into our playlists, sitting very much at that cooler end of the genre’s spectrum, that personifies the pacific nature of ‘Only A Dream’. Its housey drums, lively percussion, hats and rhythmic double claps set the track on its tonal path. Deep bass drops and cyanic note melodies shimmer in its middle distance, before the track’s longer held pad harmonies push its Celsius higher still. It’s out now, check it out on Beatport.